MOUNT CLEMENS, Mich. (WJBK) -- The Macomb County Sheriff's Office is investigating the stabbing of a man who was found after his truck crashing into a pole Saturday night. Police say that at approximately 8:20 p.m. Saturday a 2003 Dodge pickup struck a pole behind a business located near Gratiot Avenue and Park Street. When officers arrived on the scene, they removed the driver from the vehicle and discovered he had been stabbed in the chest. The victim, identified as 22-year-old Alexander William Burkart, was the lone occupant of the truck. He was pronounced dead at McLaren Hospital. Investigators located two possible suspects through video surveillance footage. One suspect, identified as Deandre Lee Arnold, 18, of Mount Clemens was arraigned Monday and is being held without bond in the Macomb County Jail. A second suspect, identified by police as Jayvon Cates remains at large and is being sought by investigators. If you have any information regarding this crime, contact the Macomb Count Sheriff's Office. Two 18-year-old Mount Clemens men were ordered to face felony murder and robbery charges in circuit court for the stabbing death of a 22-year-old Clinton Township man. 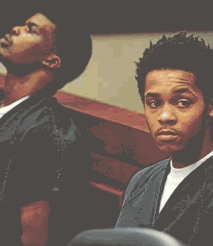 DeAndre “Dre” Arnold and Jayvon “Baby J” Cates were bound over for trial by Judge Sebastian Lucido on Friday following about 10 hours of a preliminary examination over three days this week in 41B District Court in Clinton Township. The pair face a May 4 arraignment in front of Judge Mary Chrzanowski in Macomb County Circuit Court in Mount Clemens. Alexander Burkart died seconds after being stabbed in the chest by Arnold on Feb. 21 outside his Dodge Dakota in a parking lot along Northbound Gratiot north of downtown Mount Clemens. Burkart could be seen in video talking with the two defendants next to his vehicle at the pumps of a Marathon gas station then meeting the men moments later in a nearby parking lot. Burkart, who was delivering pizza, crashed his vehicle into a utility pole. Lucido made the ruling even though he indicated he could not be sure whether Arnold and Cates committed a robbery or a larceny by possibly selling fake prescription pills to Burkart. Cates is charged as an accomplice to Arnold. Assistant Macomb Prosecutor William Dailey argued that the defendants set up Burkart to rob him, and it was not a drug deal gone bad. Dailey said video evidence from inside the gas station shows Cates gesturing to Arnold to target Burkart. According to Dailey, Cates admitted he said to Burkart, “You short on pills?” That was a set up to get Burkart alone, Dailey said. Dailey noted that no pills were found on the ground where the incident occurred or in Burkart’s truck even though police officers “scoured” the scene for evidence the night of the incident. Both men in separate police interviews denied the incident was a robbery and mentioned pills, and Arnold said he stabbed Burkart in self-defense. Cates said he got $5 from Burkart for two pills. Cates in his interview said that Arnold often carried a folding knife and liked to play with it. “He talked about the knife in great detail,” Judge Lucido said from the bench. Arnold told police he brought out the knife after he fell on his back and Cates tossed some pills at Burkart and ran away. He said he meant to push Burkart off of him. But Dailey said Arnold’s claim of pulling the knife out after he fell is “absurd.” He pointed out that Arnold told police he brought out knife to intimidate Burkart. When asked about other potential robberies at or near the gas station, Cates mentioned Arnold and one other man. “He tells officers Mr. Arnold has robbed people in the past,” the judge noted. Lucido said the prosecution met the element of showing by a probable-cause standard that a felony occurred along with an act that created a high risk of great bodily injury or death by the defendants. Arnold’s attorney, Jeffrey Cojocar, argued for manslaughter, that Arnold reacted to Burkart’s provocation. Cates’ attorney, James Galen, contended there is no proof of a robbery. He noted that more than $90 in cash was found on Burkart. His cell phone also was not taken, he said. “I don’t know how many people step out of a vehicle, two on one, especially one with a weapon,” Galen said. Galen said police may have missed finding the pills. He also disputed the alleged hand gestures by his client in the gas station, saying the video was not clear enough to substantiate that. Felony murder carries a penalty of life in prison without parole. By: Norb Franz - General assignment reporter at The Macomb Daily, in Macomb County, Michigan. One man received more than 31 years in prison and his accomplice got six to 15 years behind bars for the 2015 stabbing death of a pizza delivery man in a Mount Clemens alley. DeAndre Arnold, 19, of Mount Clemens received the longer sentence, a maximum of 50 years, last week from Judge Mary Chrzanowski in Macomb County Circuit Court for stabbing Alexander Burkart during a botched transaction for a couple of pills. 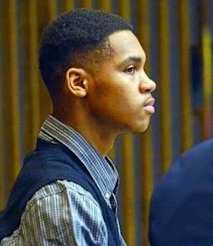 Meanwhile, on the same morning in the same courtroom, Jayvon Cates, 19, of Mount Clemens [represented by Defense Attorney James Galen], was sentenced to six to 15 years for his role: snatching $5 from Burkart’s hand and fleeing the scene seconds before the stabbing. The sentencings took place following back-to-back trials for the two men in March and April. Arnold was convicted by a jury of second-degree murder, punishable by up to life in prison, and Cates was convicted by a separate jury of manslaughter, punishable by up to 15 years in prison. 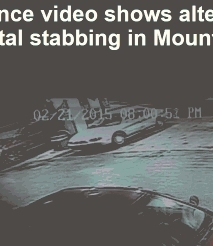 Burkart, 22, of Clinton Township, was stabbed once in the chest in February 2015 during a scuffle outside of his truck in an alley and parking lot behind a row of business along Northbound Gratiot Avenue north of downtown Mount Clemens. Burkart, who was on the job delivering pizzas, was supposed to be purchasing a couple of pills from the pair, although prosecutors contended the defendants never intended to sell him the drugs, setting him up for a robbery. Burkart can be seen in surveillance video talking to the defendants at a nearby gas station. Defense attorneys claimed one of the defendants could have had the pills but dropped them. Though no pills were found in the area, the defense attorneys said they could have been inadvertently crushed or moved by first responders. Additional video from the gas station captured the incident from far away. Three shadowy figures are seen clustered at Burkart’s pickup truck. After Cates flees, Arnold falls backward as Burkart lunges toward Arnold, who arises and scuffles with and stabs Burkart. Burkart, who had left his truck in “drive,” ran to the slowly moving vehicle before it crashed into a utility pole. He was found deceased half inside the vehicle’s driver’s side. The pair were also ordered to pay about $25,300 in restitution to Burkhart’s parents.